Animals are so much smarter than we sometimes give them credit for. They go to all kinds of measures to keep themselves happy and safe - but this caterpillar might just be the most clever of all. 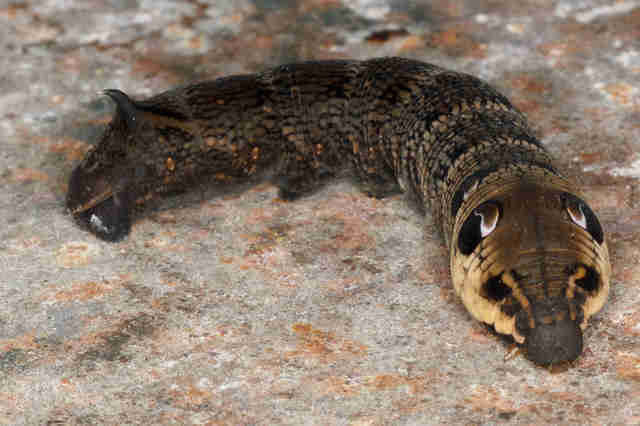 The hawk moth caterpillar looks like any other caterpillar at first glance. In reality though, these amazing creatures are very different from other types of caterpillars for one distinct reason. 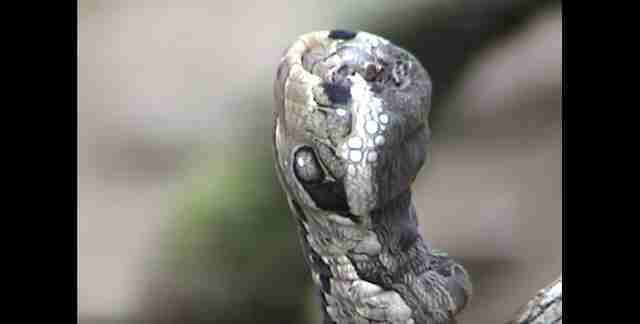 These guys can turn into snakes. That's right, not butterflies, SNAKES. OK, so they can't literally turn into snakes. 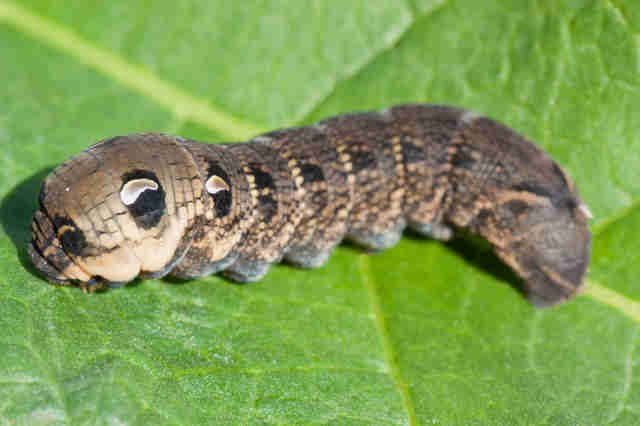 But when a hawk moth caterpillar feels at all threatened, his body swells up into the shape of a snake's head, with two huge black markings acting as the "snake's" eyes. He also turns himself over to reveal his belly, completely transforming himself in a menacing predator. Pretty amazing. ... and suddenly become a fierce animal NOT to be messed with. It's one of the sneakiest tricks in all of nature, and it's pretty darn cool to watch. 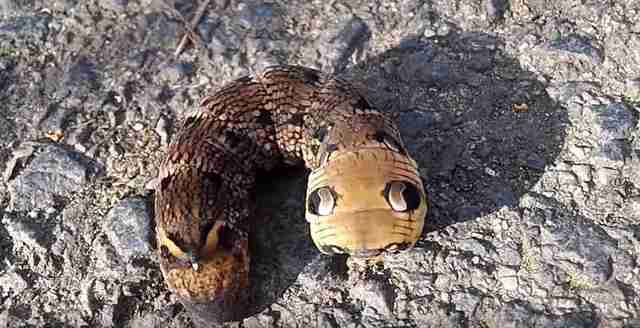 Hawk moth caterpillars - nature's magicians, apparently. See a fully formed picture of the transformation here.